The patch panel is a device that integrates both cable management and termination functions. The patch panel cabling is conducive to the structured cabling as the cables are put orderly on the patch panel. 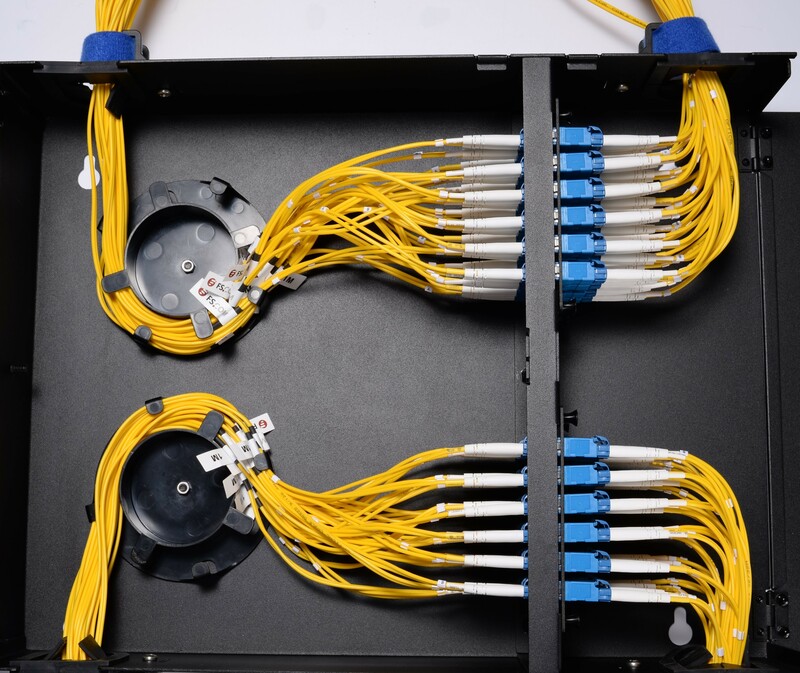 As the interface between multiple optical fibers and optical equipment, it serves as a termination unit that helps networking and fiber distribution from wiring closet to various terminal applications. Lying on the front of it are an array of ports where we insert the cables. The ports in the back will lead to a server, switch, or another type of device. Each port in the front will have a cable coming from a PC, phone, fax, or any other device that needs to be networked together. Each port on the patch panel labeled with a number will connect via an Ethernet cable punch down on the back, through the wall, cross space or added to another location in the house. It lets you use the proper type of cable in the proper place. Other than the point-to-point cabling, the patch panel contributes to a structured cabling, representing you a professional and neat look. In a large home or office with lots of connections, patch panels make quick work of re-configuring networks by enabling operators to identify where the cable is coming from and going to. By managing varying port densities and speeds in a single high-density patch panel, you save valuable rack space, helping to lower data center costs. A single patch panel can manage as many as (168) 10Gb ports. We all know that the fiber transmits data faster than copper does. But the role of patch panels is to direct signal traffic rather than send the signal at a certain speed. Both copper and fiber panels are governed by the same TIA/EIA standards(the highest level of criteria that products must perform to) required to produce speed and signal performance for the rest of the cabling network. Patch panels must coerce data into performing up to the standards. 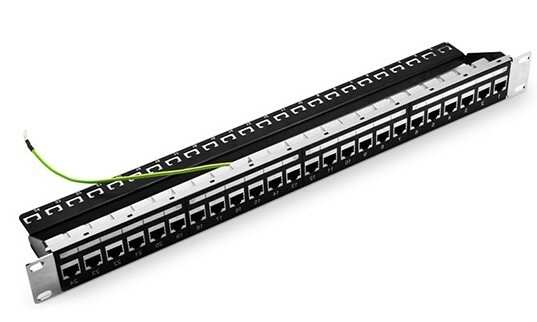 The 24 ports Cat5e shielded feed-through patch panel, a star product in FS.COM, can be mounted in to 1U racks. The shielded patch panel can minimize the crosstalk between cables, ensuring the smooth transferring of signals. It features with number coding, removable rear cable manager and rear cable management bar. 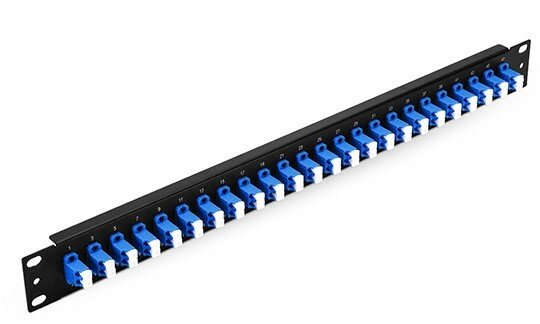 1U 19″ high-density fiber patch panel offered by FS.COM can hold up to 48 fibers with 24 ports. High quality steel adapter panel is suitable for 1U 19″ frame rack mount or cabinet, designed for backbone-to-backbone and backbone-to-horizontal fiber cabling. It is fully loaded with fiber couplers to save much cost. 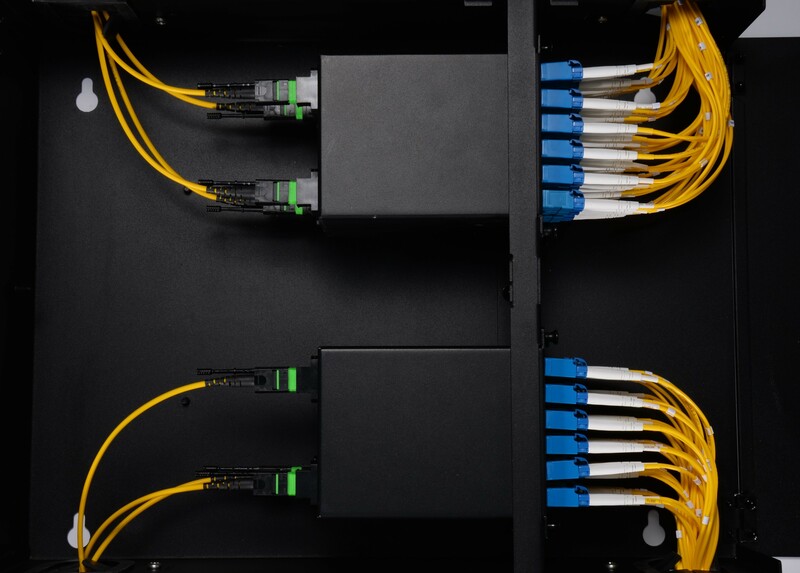 A patch panel allows you great flexibility to move, add and change cables. It gives you the neat look and a simple way to manage and configure and reconfigure your network. If coordinated with a cable manager, the patch panels will do better in cable management since the cable manager has both horizontal and vertical options while the patch panel is only designed in horizontal type at present. It can be easily installed into the wall mount enclosure and rack mount enclosure. What’s more, the whole rack will be much nicer and the networks will work orderly. Remember that 30% space in the cable managers should be left for future growth.